Looking for a Nokia Wireless Charging Plate Power Cable? Errr… better check with Nokia Support. I received a couple Nokia DT900 Wireless Charging Plates through a clearance sale of sorts online. One of them sadly had a broken power cable, but I figured no big deal, right? Nokia’s notoriously awesome at customer service and I’m sure it’ll be a piece of cake to get a replacement power cable. 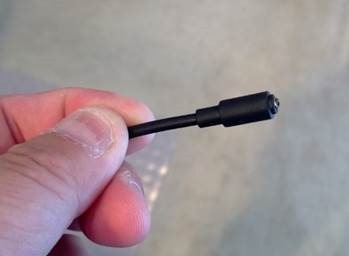 After all – it’s just a stupid cable with a materials cost of probably less than 25 cents, right? I first tried the Twitter feed for @nokia. Nothing. Okay, my bad. Let me see if they have an actual support feed. Sure enough, they do and it’s called @nokiacareus. 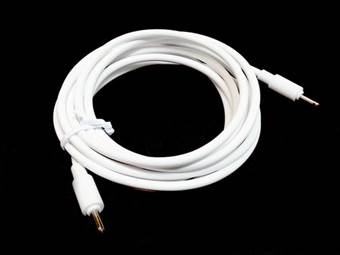 I fire off a tweet to this new twitter feed, asking them for the process of buying a new, replacement power cable. After all – they must have ‘em lying around in droves right? Wrong answer, Nokia. Try again. There is no official avenue for replacements parts like these for Nokia accessories. This is a bit unfortunate. Nokia does have a part name for the DT900 Wireless Charging Plate’s power cable: “Nokia DT-21”. Let’s just say, Nokia ultimately resolved the issue of my “not having a power cable”. I’m not going to explain what the resolution was but if you read the Twitter thread, you can probably figure it out. Yes, Nokia Support went way above & beyond the call of duty in the matter. Again, thank you Nokia Support. You were a little slow, but dammit you came through for me. This entry was posted on Saturday, August 17th, 2013 at 1:25 pm and is filed under Uncategorized. You can follow any responses to this entry through the RSS 2.0 feed. You can leave a response, or trackback from your own site. 2 Responses to Looking for a Nokia Wireless Charging Plate Power Cable? Errr… better check with Nokia Support. So hit them up on Twitter like I did. Without going into details, they’ll fix the situation. Trust me.